An idea by Logdotzip, written by Jragon014. "Expert Difficulty" makes the game more and more difficult over time - but only in areas you spend a lot of time in. You can fight this with special books dropped by the more powerful creatures! - Open your world (with cheats enabled) in Minecraft..
Click me to find the command! ﻿﻿Every 10 seconds, the difficulty level of the 80x80 block area you are standing in will increment by 1 point. Here is a list of the effects that take place over time. Endermen spawn 3 weak Endermites upon approaching. Endermen spawn 5 Endermites once every 10 seconds if the player is nearby. These particular Endermites can get health boosts on Tier 10. Zombies spawn with stone weapons and chainmail boots. Spiders web you with cobweb every 10 seconds. Special mobs with a book called "Wings and Traitors" can spawn. Skeletons have Punch and Power bows. 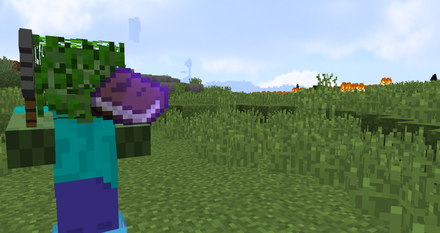 Zombies, creepers, and spiders have Depth Strider. Witches have Knockback resistance, speed, and +12 health. Endermen and endermites cause blindness to the player. Skeletons shoot weakness arrows. Strays shoot slowness 3 arrows. Guardians remove potion effects remove players within 5 blocks of them. Witches heal nearby spiders, skeletons, zombies, and creepers. Global Module Only: Cows, pigs, sheep, and chickens are faster and more difficult to catch. Zombies are smarter! They use the surroundings to stop themselves from burning in the daylight! Magma Cubes spawn fire blocks. Wither Skeletons have full iron armor and a shield. Special mob with a book called "Never Trust Nature" can spawn. Spiders, Skeletons, Zombies, and Skeletons have +20 health. 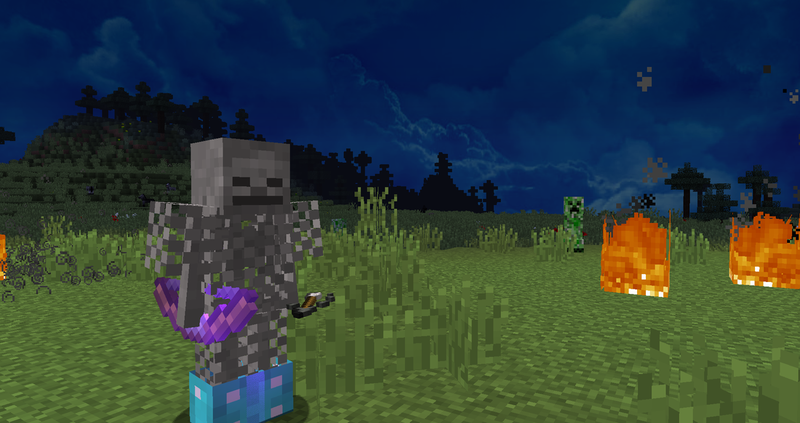 Spiders, skeletons, and zombies have diamond boots with depth strider 3. Toxic Lightning spawns around the player. Creepers fuse cut by half, creepers can be charged. Cave Spiders are even faster. Enderman have an additional +20 health points. Witch are immune to arrows. 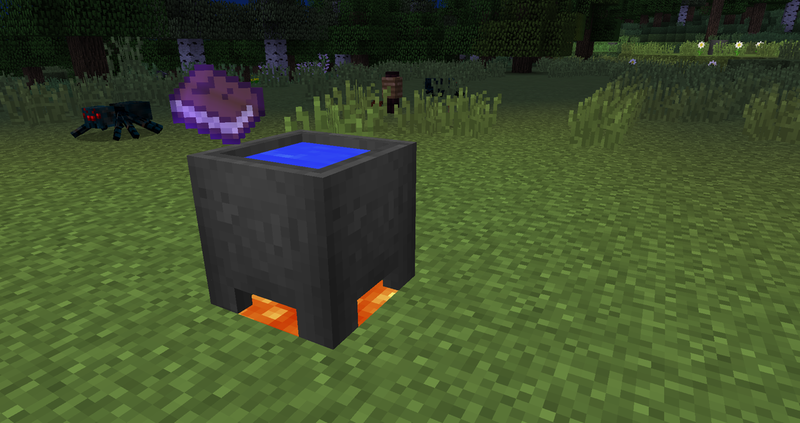 Place a filled cauldron on top of some lava. To reverse the dark magic in the area, throw one of the special books inside (which are dropped by the special mobs). Throw in the"Wings and Traitors" book to reverse nearby dark magic by 100 points. Throw in the "Never Trust Nature" book to reverse nearby dark magic by 250 points. ​After you do this, the book will tell you the current dark energy levels in the area. Warning! Going into the nether increases difficulty three times as fast! Stay out of there as much as possible! To see the local difficulty of the area without using the magic books, type this. To add difficulty to your current area, type this. To reset the difficulty all together, type this. Click me to find the regional command! Click me to find the global command!